Widget tracks prices at Mac Support Store. Is there a better alternative to PricePoint? Is PricePoint really the best app in System category? Will PricePoint work good on macOS 10.13.4? 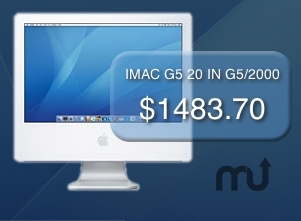 This widget helps you keep track of the changing prices at The Mac Support Store. As prices on the store go up or down, your widget will update automatically. Click on any of the Apple products to go directy to that page on the store. PricePoint needs a review. Be the first to review this app and get the discussion started! PricePoint needs a rating. Be the first to rate this app and get the discussion started!